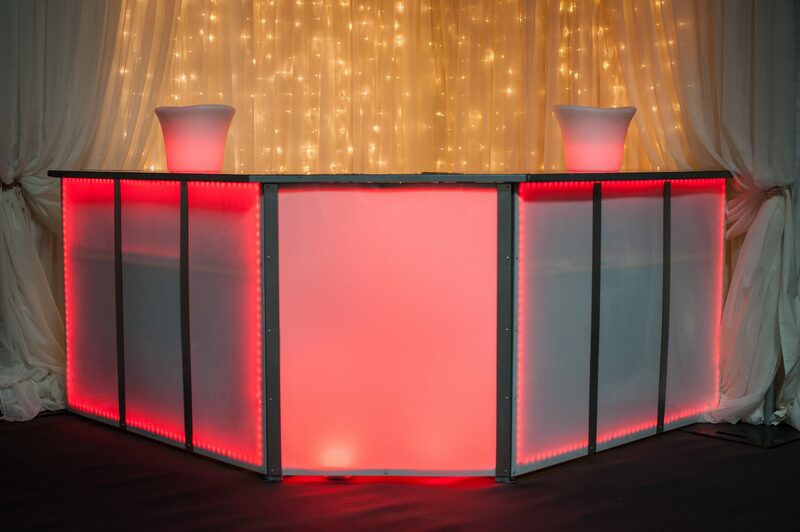 Our Stainless Steel and LED Bar Sections create a sophisticated bar area for any event and in any venue. 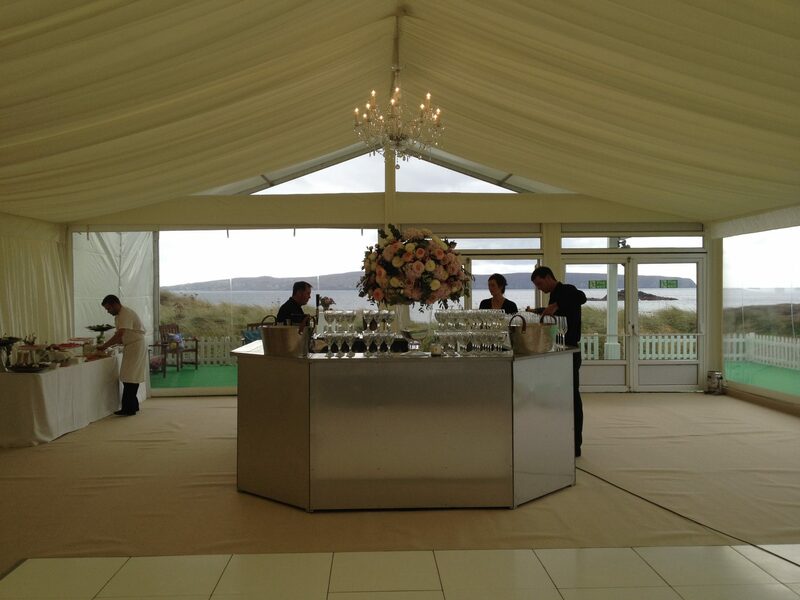 From Weddings to Shows, Festivals to Sporting Events we can help you create the perfect structure. 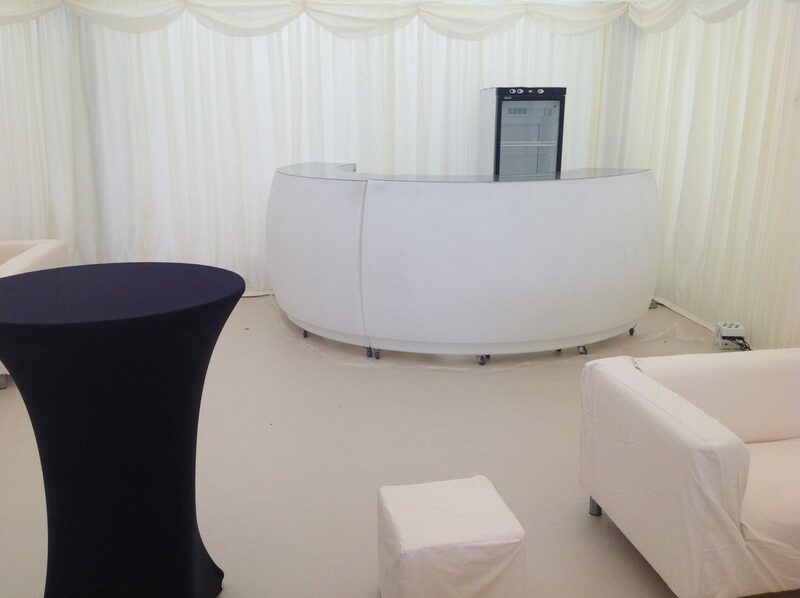 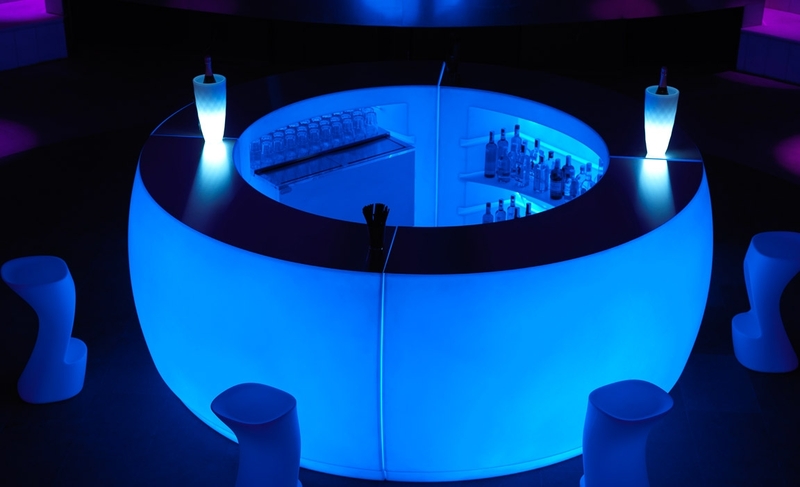 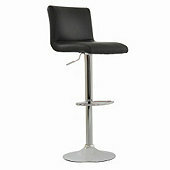 Our 5ft sections of bar and corners can let you create whatever structure you wish to fit in to the space you require. 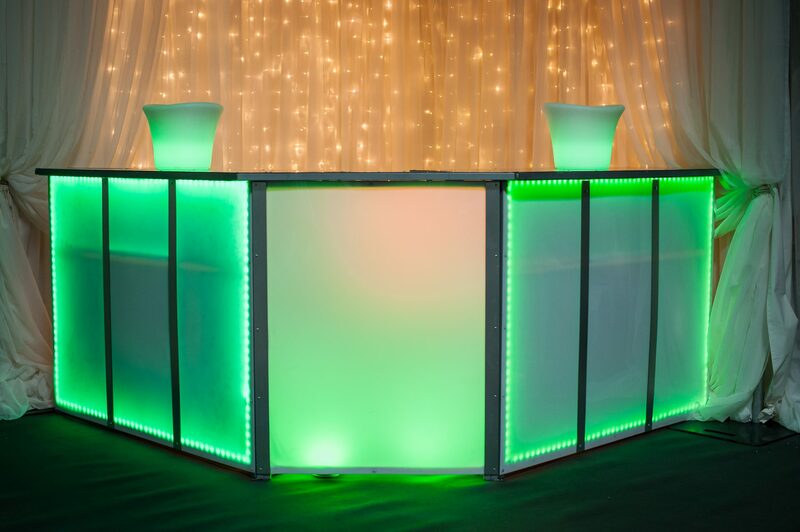 Hire our LED Bar Section to create the perfect DJ booth. 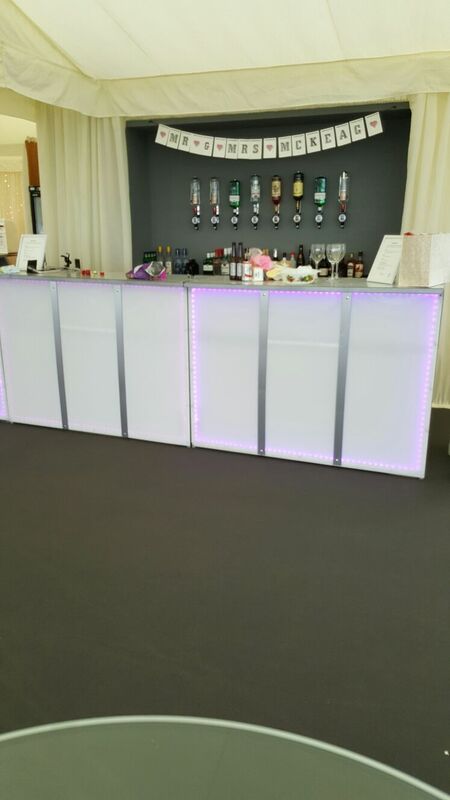 Working with Absolute Vodka we have provided our light up Bar in Blue to create the perfect branding for their corporate event. 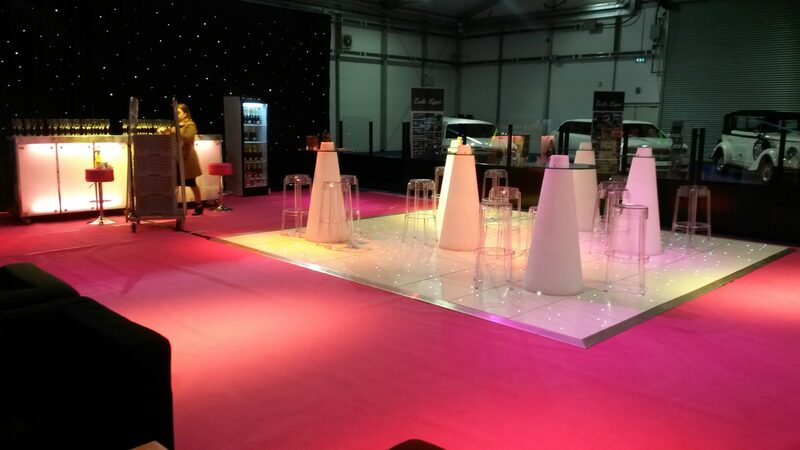 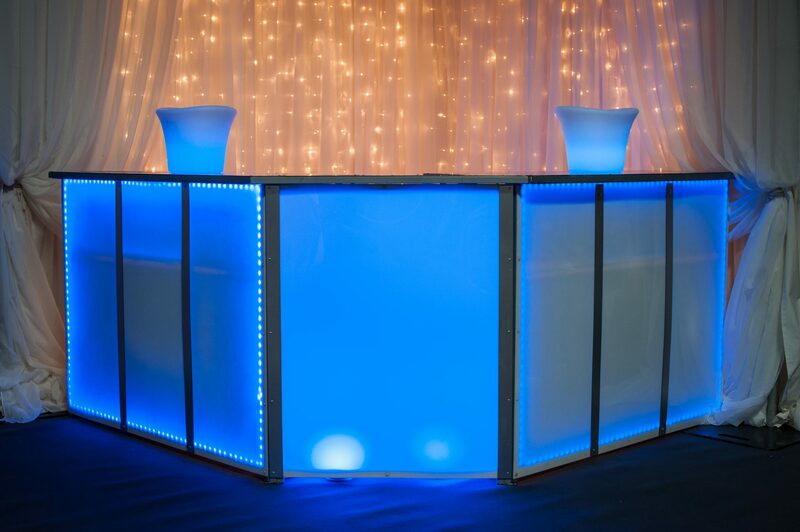 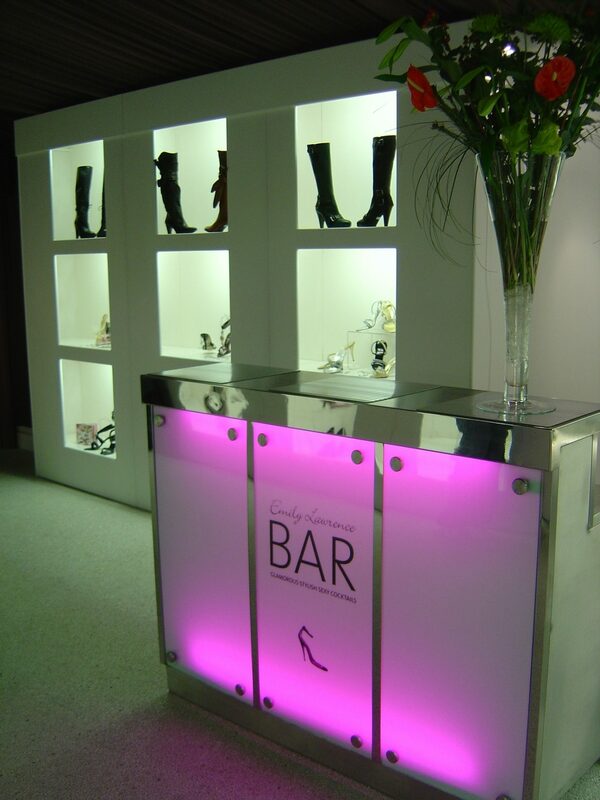 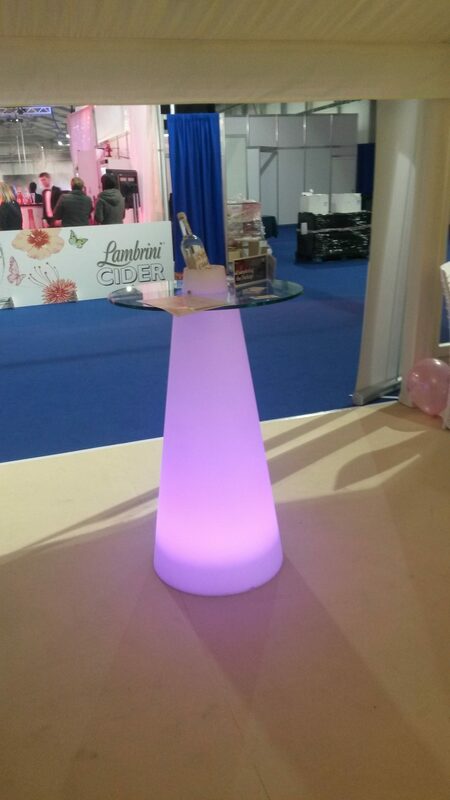 Our LED Bar can be used as the perfect centrepiece for the arrival of your guests.